It is a well-known sweet among children’s. It is Delicious and Hygienically prepared sweet. 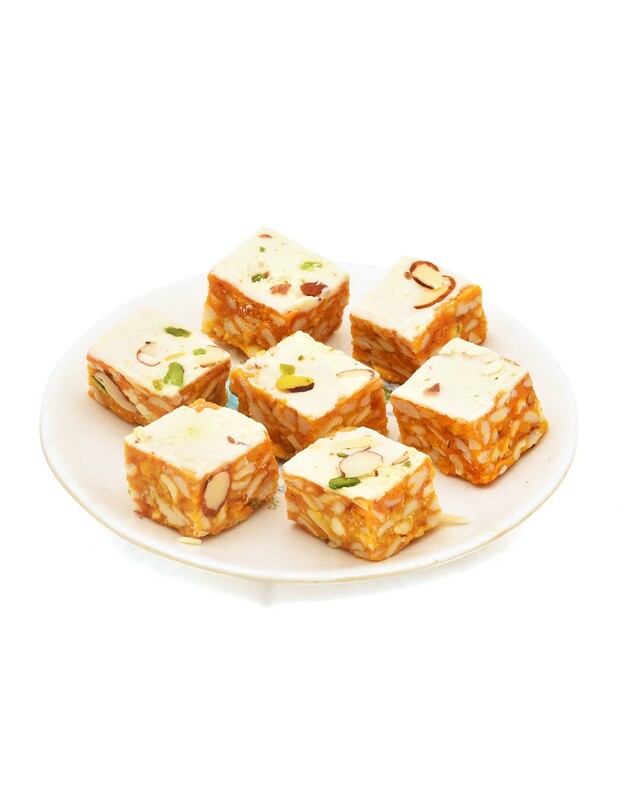 It is relished & gifted extensively during special occasions and festivals. Shelf life of product is 15 days. Shree Krishna Sweet Mart has been into the sweet business since genreations in the Sukhadia family. It has faced a number of ups and downs since its inception. But, under the leadership of Shri Manharlal Sukhadia, it took a new turn towards horizon. Without losing any hope or getting discouraged, each and every member of the team stood together to make this journey of success. 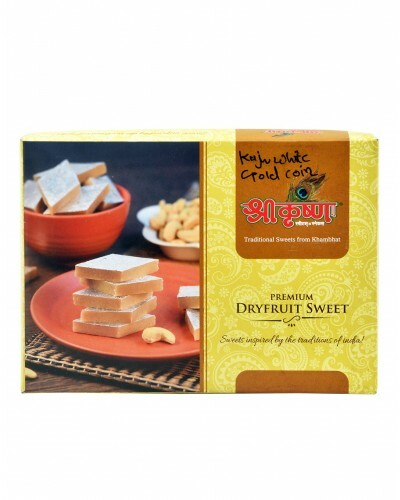 Shree Krishna Sweet Mart was initiated with a small shop in the town of Khambhat, Gujarat. The products were limited and the so were the customers. With this situation and a hope to bring up the name and bring a sweet revolution in Khambhat. Mr. Bharatkumar Sukhadia and Mr. Nand Kishor Sukhadia were the first torch bearer after Shri Manharlal Sukhadia to lead march towards the door of progress. His team consisted of Mr. Kishan Sukhadia, Mr. Ravi Sukhadia, Mr. Chintani Sukhadia and Mr. Jay Sukhadia.Shree Krishna Sweet Mart has been into the sweet business since genreations in the Sukhadia family. It has faced a number of ups and downs since its inception. But, under the leadership of Shri Manharlal Sukhadia, it took a new turn towards horizon. Without losing any hope or getting discouraged, each and every member of the team stood together to make this journey of success. Shree Krishna Sweet Mart was initiated with a small shop in the town of Khambhat, Gujarat. The products were limited and the so were the customers. With this situation and a hope to bring up the name and bring a sweet revolution in Khambhat. Mr. Bharatkumar Sukhadia and Mr. Nand Kishor Sukhadia were the first torch bearer after Shri Manharlal Sukhadia to lead march towards the door of progress. His team consisted of Mr. Kishan Sukhadia, Mr. Ravi Sukhadia, Mr. Chintani Sukhadia and Mr. Jay Sukhadia.